Street shoes are no longer allowed in the pool area, in order to keep the flooring from deteriorating. Please use flip flops or shower shoes reserved for indoor use only. Both pools are available for birthday parties on Saturdays from 1:30pm–3:00pm and 3:30pm–5:00pm. The hot tub will be closed for cleaning from 5:00pm–6:00pm on Saturdays and Sundays.  Please check the schedule form when the pool may be in use for lessons or for Therapeutic Aquatic Exercise with Aquatic Trainer Julia Meno. Please note, our pool area is reserved for members only. Children under the age of 13 are permitted only during family swim, swim lessons, or other swim programs. Additionally, children under the age of 13 are only permitted in the family locker room. Our regular locker room is reserved for members only. Get a printable PDF version of our schedule here.